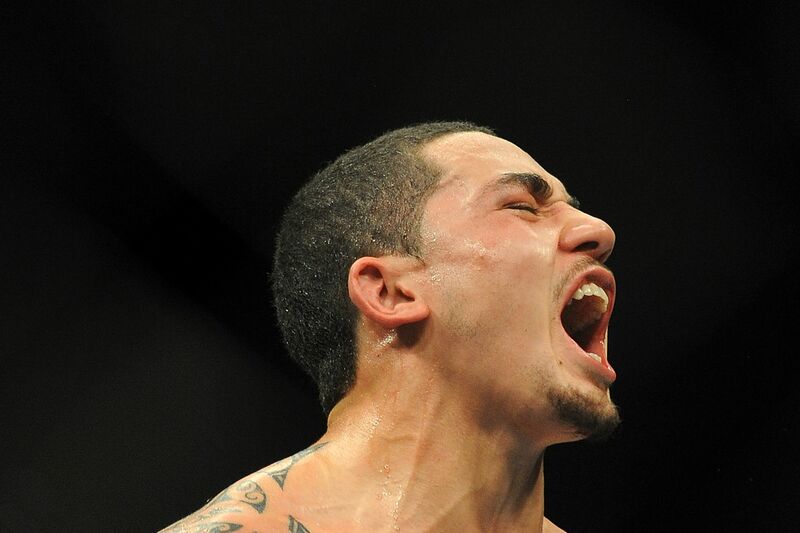 Around this time last year, Ultimate Fighting Championship (UFC) middleweight champion, Robert Whittaker, was in a “life-threatening” situation when staph infection spread to his stomach and started eating away at his organs. Fast-forward to 2019 and “The Reaper” is once again dodging death, thanks to a “freak injury” that “could have been fatal.” That’s according to promotion president, Dana White, and now Whittaker’s management team is elaborating on social media. As a result of his withdrawal, the promotion was forced to table Whittaker’s 185-pound title defense, previously scheduled to headline the UFC 234 pay-per-view (PPV) event last Sat. night (Feb. 9, 2019) inside Rob Laver Arena in Melbourne, Australia. Promotion president, Dana White, was non-committal when asked about the creation of an interim title, instead waiting to see what Whittaker’s recovery timeline might be once the Aussie is discharged from the hospital later this week. Taking over the main event slot was the middleweight showdown pitting former division champion, Anderson Silva, opposite 185-pound striking sensation, Israel Adesanya. “The Spider” put up a good fight, but ultimately fell to “The Last Stylebender” after three rounds of action (highlights here). Adesanya was expected to compete for the middleweight title later this year, but those plans may be on hold until White and Co. can rebook Whittaker vs. Gastelum.